When using music software to put a song together, it’s easy for students to head straight to the loop library to find a drum pattern. 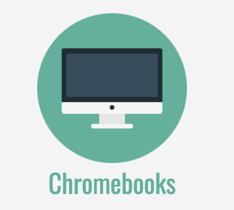 It’s a quick solution, but once you become familiar with the loop library of your school’s chosen software package, you start to hear those same loops everywhere. All of your student projects will begin to sound the same. To save your own sanity (!) and to encourage student creativity and originality, teach them a few basics about how to programme their own drum patterns. Once they know a few simple tips they’ll find it much more rewarding that simply dragging a loop into a project. Each musical genre has it’s own drum “sound” or template. 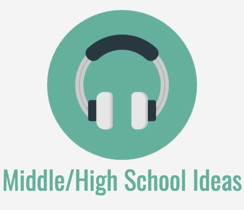 Students can start off by learning how to put together a “standard” version of a hip hop beat, or a rock beat or techno beat and then create variations by changing instruments, adding or moving sounds and so on. A drum grid is a common way of visually notating a drum pattern. It makes it easy to transfer the information to the digital drum machines that can be found in music software and apps. 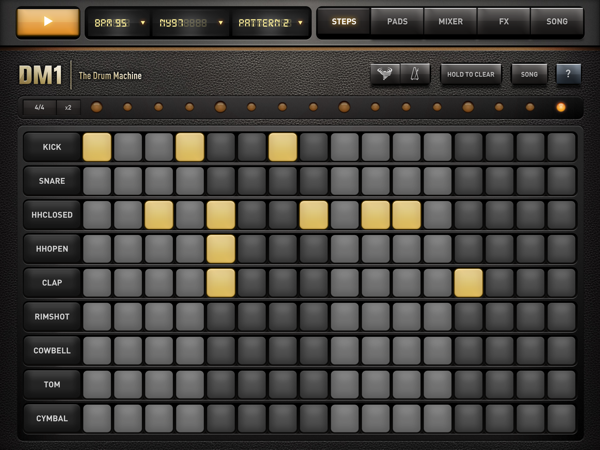 In software and apps, drum patterns are generally programmed into a step sequencers (like the DM1 app for iPad or the HTML5 Drum Machine) or a piano roll editor (such as the one you would find in GarageBand, Mixcraft, Soundation or Soundtrap). In order to create a drum pattern in any of the above options, you simply need to work out where to place each instrument sound to get the desired result. Drum step sequencers generally have 16 slots or “steps” which represent 16th notes (semiquavers) in a single measure of music in 4/4 time. In other words, the 4 beats of the measure fall on slot numbers 1, 5, 9 and 13. In the drum grid example below, the snare is playing on beats 2 and 4. The equivalent step positions are 5 and 13. 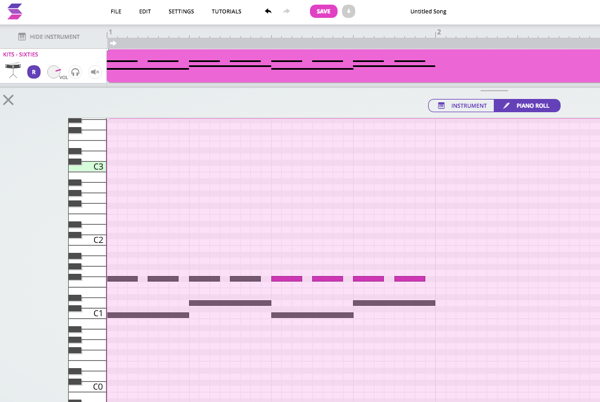 A piano roll editor (like the one found in GarageBand) works in a similar way, but students may need to adjust the “snap to grid” settings to 16th notes or 8th notes, or zoom in on the timeline so that they are able to place sounds on the correct subdivision of the beat. They will also need to be familiar with the MIDI drum map so that they know which notes produce the drum sounds they need (ie. C1 = bass drum, D1 = snare). I’ve put together drum notation grids for some common styles. In the grids I have given both the sequencer step position (so you know where to place the sound for a specific instrument) and the beat subdivision (so you know where you are in the measure!). 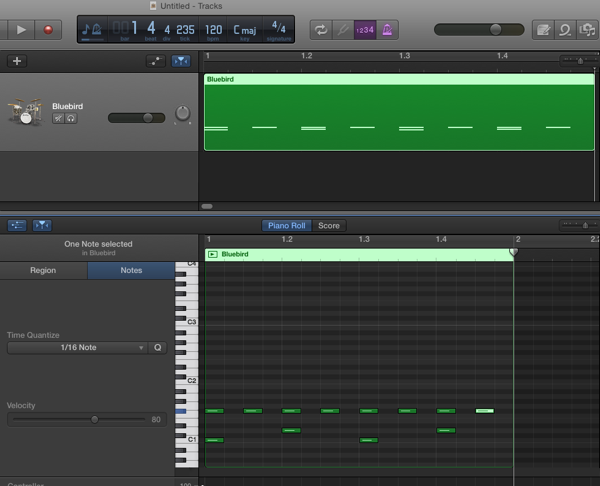 An icon in the pattern grid indicates that the instrument plays on that beat of the measure/sequencer position. You can download these patterns at the bottom of this post. 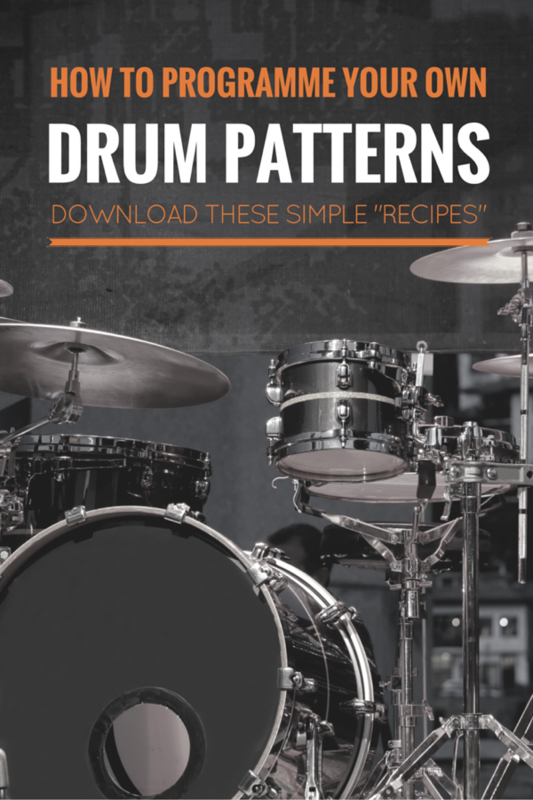 To download a copy of the 6 common drum pattern “recipes”, click on the button below and a copy will be sent straight to your email inbox. 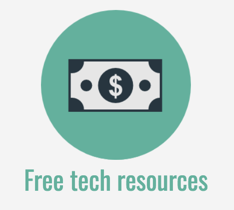 In part two of this series, I’ll share some empty grid templates (that are editable!) 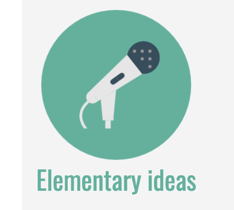 and instrument icons you can use with your students. 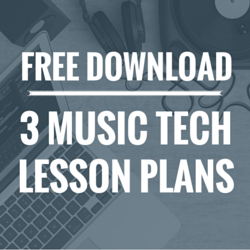 I love to simplify technology for music teachers. 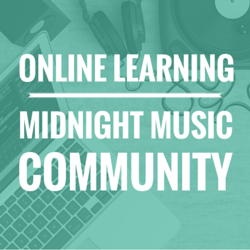 I help teachers from all around the world through the Midnight Music Community - an online professional development community where teachers can take online courses, ask questions and receive personalised help for the music tech goals. Just what I needed right now – I am just doing Rockstar Drummer with my year 7s and this will be perfect for future lessons. Please send me the download. Hi Katie – great idea fro drumming – going to include this in my Y8 lesson on rhythm! But which ‘button’ do I have to press? How lovely to have you again and am also wish to say sorry to you, because I was being somewhere for a white. Now I’ve be back and thinking to spend more time for learning and making music. My grand children have been moving far, far away. So for the first time, I am feeling uneasy emotionally for this moments, but I do hope the times will let me to normally action soon. How are you going any way ? You so kind with me, so I would love to say Big Thanks to You. Thanks for the tip. 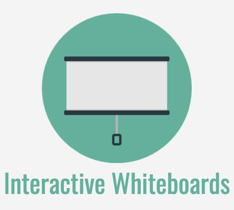 Always looking for ways to keep students interested. I am not seeing a “button below” to download your drum patterns. I don’t seem to see the button for the download? I could not see the button to click on for the 6 pattern “recipes” – but I love this article! 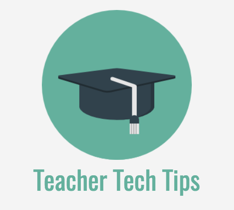 It is very clear, and will be helpful in explaining this kind of app to students. Thanks again for all your wonderful work! 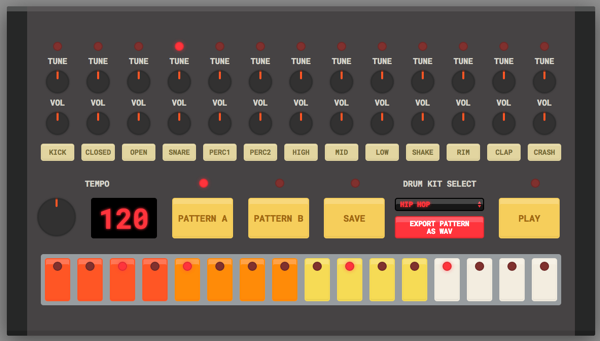 I’ll try this one at school (Stage 3) but will need your drum pattern ‘recipes’ – couldn’t see your download button. Sorry Shane! That should be fixed now 🙂 I’d love to hear how you go with the students. HI Katie, Love the idea of the drum patterns, but my page does not seem to have the “button” to click at the bottom for the drum recipes? I’d love a copy of your drum patterns! I use your lesson plans in my classes and I really appreciate your hard work and generosity in sharing them! Does anyone have any good ideas for listening examples to go with each of the genres? I teach HS Music Theory and my students really enjoyed having these drum grids to help create drum patterns for their compositions. Some even showed interest in creating their own grids. I would love to give them empty grid templates with the same format and design. Are you able to share the empty grid templates and instrument icons? Thanks! Yes! That was my plan originally but it took a back seat to some other things! Here’s a link to an empty grid you can use for now. It has space for 2 different patterns (A and B) if you need it. 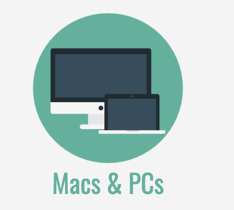 I’ll also do a follow-up post which includes this grid, plus the icons that you can download. Thanks for the reminder! 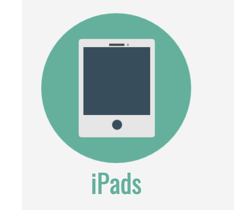 5 Note Naming Apps That Students Love!